At Permagard Aviation we are specialists in aircraft presentation, asset protection, cleanliness and hygiene. Our services range from exterior wash, paint rejuvenation and protection, to engine compressor wash, cabin interior refresh, to now offering the world’s latest antimicrobial shielding process, to protect your customers, staff and contractors from germs, pathogens and bacteria. We believe it takes a specialist organisation to deliver quality presentation, cleaning and hygiene services in the aviation environment. 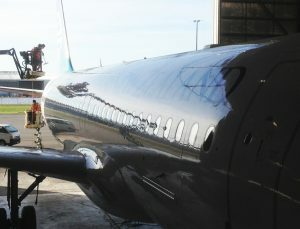 Permagard Aviation is unique, holding a CASA Part 145 Approved Maintenance Organisation (AMO) approval. We understand and deliver to highest customer cleanliness and hygiene expectations, whilst conducting tasks deemed maintenance, without the need to engage a separate MRO for certification. We offer complete aircraft presentation solutions, or separate services if our clients prefer. Permagard has also offers its unique ‘Cabin Management System’, software we developed to manage assessment and rectification of aircraft interior and exterior conditions (non-airworthiness defects). It enables our clients to define acceptable standards and to monitor their aircraft cabin conditions online, against that standard, at any given time. Permagard’s Cabin Management System also allows full co-ordination and reporting with your aircraft scheduling team; allowing aircraft exterior presentation services to occur in conjunction with other maintenance or layover requirements. Our Cabin Management System Software is also available as a stand-alone product, offered to operators at an exceptionally low cost. 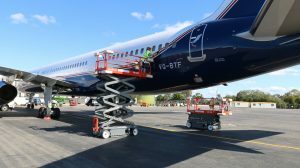 So now you have access to a dedicated presentation company that can certify its own work, has expert understanding of aircraft operations and the advantage of an online system so that your personnel responsible for on-board customer experience can review aircraft cabin status at any given time. With operational ports around Australia and networked with suppliers around the globe, we can supply an aircraft presentation solution to fit most operators’ needs. Permagard Reactive Polymer Film Coating provides superior aircraft paint protection though its patented Reactive Polymer coating system, which comes with a lifetime guarantee. It will rejuvenate old paint, extend the life of your paintwork and allow for an easy dry wash to be accomplished at the terminal saving you money, fuel, down time and the environment. We care deeply and passionately about the quality of our technology, which we continue to develop, test and apply in Europe, USA, UAE, Australia and around the world. 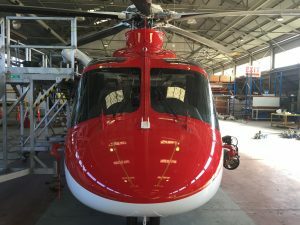 Our coatings are continually tested by external agencies to ensure they comply with the vigorous aviation standards required from the largest commercial aircraft to your smaller single engine aircraft. 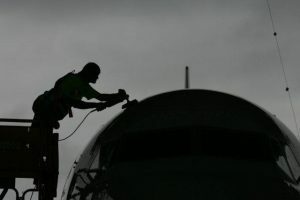 We offer Exterior Wet Wash services for all sizes of aircraft, which can be accomplished at any of our ports equipped with specialised water reclamation equipment to meet strict environmental management obligations. Permagard can provide a total cabin appearance and presentation management solution using our in-house developed software specifically to manage the assessment and rectification of aircraft interior conditions (non-airworthiness defects). We can conduct audits on your behalf, identify and rectify defects and non-airworthiness conditions to meet your desired standard. We offer more than just line cleaning, we can deep clean all your galleys, lavatories, repair soft furnishings and plastics, rejuvenate your leather, shampoo the carpet and much more. 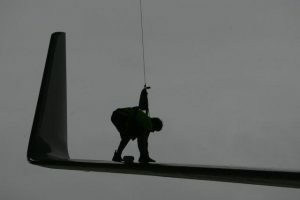 As a certified maintenance organisation, we have the staff to be self-sufficient, powering and managing the aircraft, even positional towing if required. 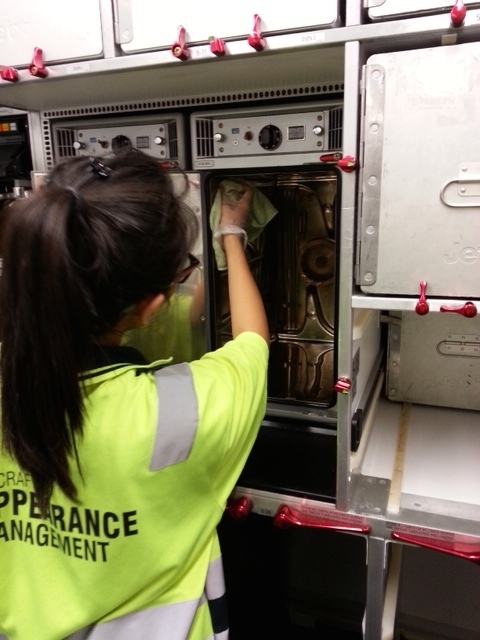 We are expertly familiar with flight deck protocols and configurations, so you can have full confidence in using our company for your flight deck cleaning. Our Cabin Management Software is stand-alone so it does not require any interface with legacy systems, it is designed to be used on mobile devices so you can BYOD, it is cloud based so you can see from anywhere the condition of your aircraft’s interior against your own defined acceptability criteria for your LOPA; making it easy and inexpensive to operate. It may look clean, but is it really hygienic? Permagard Antimicrobial Shield is a long-lasting coating that dries to an invisible, non-leaching state that is food safe and highly effective in killing germs, pathogens, mould and other bacteria that comes in contact with it. 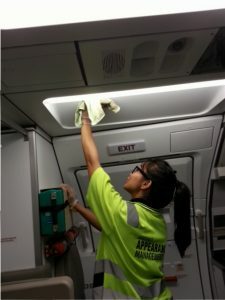 You do not have to wait for a cleaner to disinfect your cabin items during layovers; it is like having a hospital grade disinfectant continuously on the surfaces of your lavatories, galleys, meal trays and other high touch items where the spread of disease is notorious. 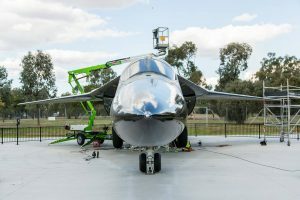 When an aircraft is on an extended maintenance layup or in storage, the dry conditions that keep mould growth at bay during normal operations no longer exist. 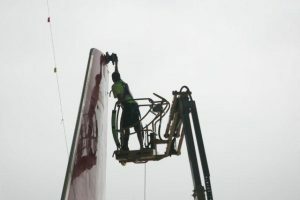 Cleaning mould of an aircraft interior is a costly and dangerous task, and it keeps coming back until all the internal soft furnishings and insulation blankets are completely dry, which is usually many months even in desert storage. Treating your aircraft interiors with Permagard Antimicrobial Shield will stop mould in its tracks before it grows. So how does Permagard Antimicrobial Shield work? Permagard Antimicrobial Shield is powered by a revolutionary Nano technology product called Zoono® that uses lysis to eliminate germs and pathogens and it is so effective, independent laboratory tests show that, in most cases, it kills 100% of viruses and germ pathogens instantly on contact. Lysis technology attacks and kills virus and germs by puncturing the cell membrane of the microbe destroying its structure completely. A simple analogy would be that of a balloon landing on a bed of grass and being popped and destroyed. 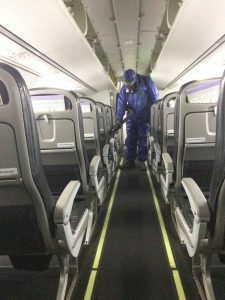 By killing germs in this non-toxic method, rather than via alcohol, dehydration or by poison, the hypoallergenic properties of this treatment allow it to be used in confined environments such as cabins and cockpits. The treatment is easily applied by fogging and once applied all treated surfaces will be protected for an extended period of time, even after regular cleaning methods. Australia and New Zealand government quarantine agencies have strict disinsection requirement. 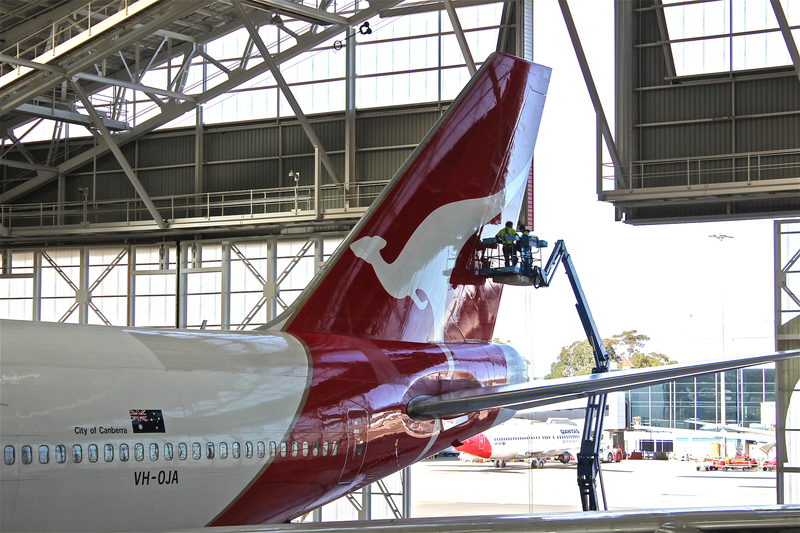 Permagard Aviation offers residual disinsection, eliminating pre-embarkation and in-flight insecticide spray that meet the Australian and New Zealand requirements. Not only do we provide and certify for the application of residual disinsection, we also manage the entire on-line registering, documentation and compliance process required by the Australian and New Zealand authorities on your behalf. Do you have a few more problems than just disinsection control – Perhaps bedbugs and cockroaches? Unfortunately, these critters appear from time to time on aircraft and do not bode well for your customer’s experience. We can assist by laying baits in areas that are hidden and not seen by passengers, but require a maintenance activity to access. Permagard Aviation also has the equipment and expertise to fumigate aircraft as required, independently operating aircraft air-conditioning systems to effectively fumigate areas that sprays do not reach. 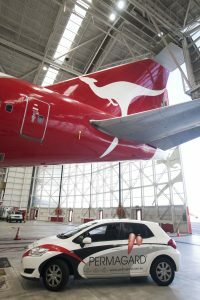 Permagard Aviation is also the authorised provider of Lufthansa Technik’s revolutionary Cyclean® engine wash technology in the Australia/Pacific region, proving we are serious about all-of-aircraft cleaning and asset protection. Cyclean® units are already in operation in over 20 countries worldwide with over 40,000 successful washes performed to date. The unique design allows operators to clean their engines quickly and efficiently without the need to blank engine bleed and sense lines. There is no requirement to perform post wash engine runs, providing significant savings in fuel and maintenances costs for the operator, whilst reducing risk and potential operator error. Cyclean® is more environmentally friendly than its nearest competitor, using up to 90% less water than traditional compressor cleaning techniques, yet yielding a faster and improved cleaning result. 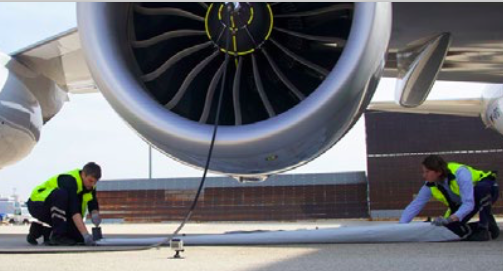 With a typical clean time per engine of under and hour, minimal or no residual water, no engine run nor intrusive maintenance requirements; Cyclean® can be done at the airport gate between flights.